In the last three months, how many times have you handwritten a note of gratitude for someone in your life? Not a text or email, an actual handwritten note. I asked this question recently of a room full of tweens and teens and as expected, the answer for the majority of them was a whopping zero. Sure they had spent plenty of time on their cell phones texting various messages to friends, some of which may have included glimpses of gratitude, but the word handwritten almost seemed foreign to them. Some of the students even demonstrated body language that conveyed a message of – Why would I do that? Recent scientific research has proven that there is a direct correlation between gratitude and happiness. 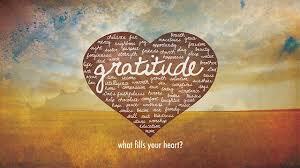 In fact, neuroscientists equate the effect of gratitude on the brain to that of indulging in your favorite food. There is a chemical called dopamine (the happy chemical) that is released in your brain each time you eat your favorite food. The same chemical is released when you express gratitude. Research has also shown that gratitude in kids leads to countless other positive benefits, including increased optimism and overall life satisfaction. The more grateful a tween or teen is, the more likely they are to be engaged in their schoolwork and hobbies. Furthermore, they are often less envious of others and avoid materialistic tendencies. Last week, I invited a room full of tweens and teens to experience the reality of the above quote. Each student was asked to write at least three notes of gratitude for people in their lives. I wasn’t concerned with who they wrote them to, I only asked that the note be genuine and authentic. For the next 15 minutes, the room was silent as they poured their hearts into the small thank you cards I had provided. At the end of the exercise, I asked a simple question, “How many of you experienced happiness as a result of doing this?” Not surprisingly, every hand went up. Some even asked for more cards. I challenge you (or your entire family) to sit down for 15 minutes and think of three people who you’d like to share your gratitude with. Rather than indulging in a favorite food for your daily dose of dopamine, try doing it the natural way; with gratitude. Unlike food, which can sometimes have negative side effects, the only side effect of gratitude is happiness. 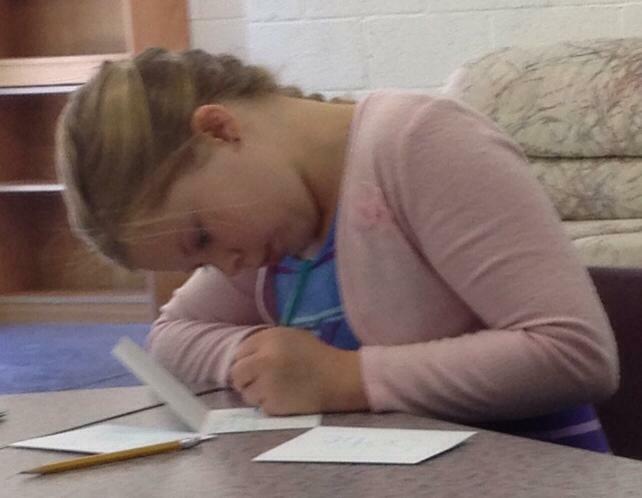 Below is a picture of one of the students in a moment of gratitude. Such a powerful image.